These contemporary offices are situated in the leafy suburb of Parkmore and provides a quiet place to work while still being close to the business hub of Sandton City. To ensure yours and your guests’ security, as well as protection over your assets, the centre provides extensive security measures so your business can operate with peace of mind. The Gautrain Sandton station can be reached from its bus service, which runs past the building. This well-maintained and prestigious office space in the heart of Africa's financial hub, offers a great networking environment for professionals, with friendly and welcoming on-site support staff. 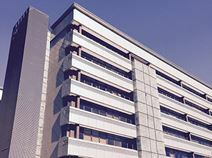 Offices are semi-furnished which high speed internet, air conditioning facilities and kitchen access. You will also have access to board rooms which are fully equipped with everything you need to get started. The centre is situated in the prime location of Parkmore, Sandton, offers offices that are spacious and bright with neat workstations. The all-inclusive packages on flexible, short term leases, offer you uncapped fibre internet, your own printer with 250 copies free, free meeting rooms hours, free parking & free car wash. 11th Avenue is a wealth of small coffee shops, salons, printing houses, hardware stores, locksmiths and more. All the conveniences needed are within walking distance of the office. Commuter-friendly into central Johannesburg, this central Sandton newly built business centre is close to both Sandton Station and the Ben Schoeman Freeway. Surrounded by other business parks, providing a rich and diverse economic area. here, your company can benefit from this centre's 24-hour access, administrative support and IT support, ensuring you stay well connected throughout your operations, no matter what time of day your business requires to work. Suited to young professionals and creatives this Illovo flexible office space is ideally located between Sandton to the north and the Johannesburg CBD to the south. You will also have access to the talent pool of nearby The University of Pretoria's business school, the Gordon Institute of Business Science (GIBS). The centre is accessible 24/7, with round-the-clock security, enabling you to work through late hours with peace of mind. Stylish office spaces are available to let in one of the most attractive locations in Johannesburg, well connected to the international airport and the surrounding cities. Modernly equipped and furnished to a high standard, they are provided with all the facilities and services needed to run a successful business. This comfortable solution has air-conditioning, 24-hour access, parking on-site and accommodating reception services. Within walking distance, there are many hotels, eateries and events venues. 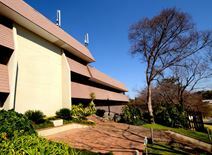 Within walking distance of Hyde Park shopping centre this high-visibility building provides prestigious office space in a popular location and houses a number of companies from publishing, advertising and the media. In addition, this accommodating space also provides administrative support, conference facilities, comfort cooling and company signage options to inspire and motivate you throughout your occupancy. There are also several hotels just a short drive away, as well as many parks, Killarney Country Club and Houghton Golf Club. Situated north of the Johannesburg CBD this premium Rosebank flexible serviced office space is conveniently linked to the city via the Gautrain. In addition, you can also enjoy 24 hour access, allowing you to work through late hours, however long you desire. There is administration support on-site to help you run your business as efficiently as possible. Furthermore, within 10 minutes, you can find several galleries, cafes and restaurants in which you can keep clients entertained. The workspaces range from luxurious lounge working to fully equipped private and executive offices and include access to; high-tech meeting rooms, uncapped internet, receptionist/concierge services and an in-house lounge and deli. The flexible rental model accommodates growing businesses as well as organisations with immediate/short-term requirements, with an emphasis on month to month contracts and a pay-per-use model. This modern business district offers an exclusive working space, provided with boardrooms, canteen, and bar and is equipped with state-of-the-art technology. In addition, there is a secretarial team on-site to handle your telephone answering. It benefits from easy access to the major motorway junctions and from its vicinity to restaurants, shops and numerous other amenities. You can entertain clients at the nearby country club. Directly opposite Sandton City and next to the American Embassy these upmarket serviced offices provide a prestigious Sandton CBD home for your business. Tenants are supported by a full-time business manager and on-site IT support. This is the perfect business centre for companies that value accessibility, practicality and convenience. The building is a few minutes walk from the Gautrain, with a wide range of local services and amenities available within close proximity of the site itself. An impressive centre situated in a vibrant area of Sandton, surrounded by plenty of local amenities and major transport opportunities. The area is also home to several 5 star hotels. The centre boasts high-speed internet connectivity, business lounge access and meeting rooms that are available for booking. This space offers furnished office-spaces available on flexible terms. All work-spaces benefit from plenty of natural light as well.